Deadpool goes nuttier than an almond finger this month, spending the majority of the issue in a state of wildest delirium. 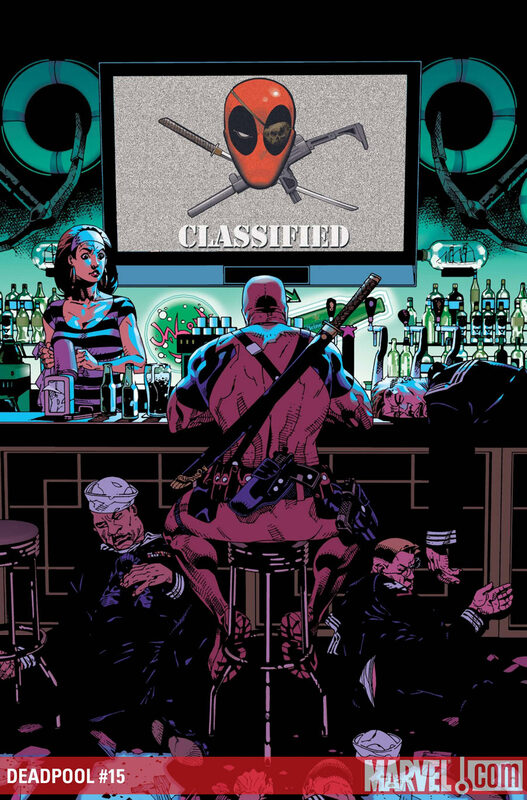 With the dull Dark Reign crossover safely behind us, Daniel Way continues his unique brand of nonsense, which recently saw Deadpool taking to the Seven Seas after a bullet to the brain inspired him to become a pirate. Now, after several days adrift, he wants to become an altruist, because… well, just because. Yup, this is grade-A gibberish. But to Way’s credit he realises that Deadpool is best kept as such; a sociopathic loon whose adventures bound from the mundane to the truly bizarre, and never in-between. This issue was reminiscent of the second instalment of Grant Morrison’s criminally overlooked Seaguy, frequently verging on the sort of drug-fuelled, Hunter S. Thompson-inspired surrealism that Morrison habitually pads out his serials with. But where’s it all going, eh? 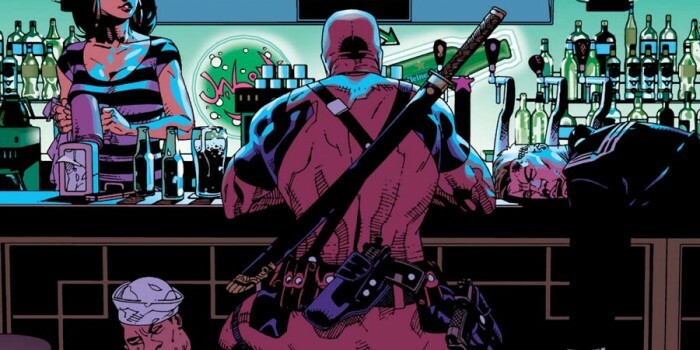 The problem with Deadpool as a lead character – and this perhaps explains why Marvel partnered him with Cable at one time – is that his directionless escapades never amount to anything. If you’ve read one book starring the merc with the mouth, you’ve essentially read them all. Still, ‘Want You to Want Me’ was anything but boring, and the fact that this series seldom requires the convoluted level of back-story that many other Marvel titles do perhaps explains the character’s unwavering popularity. Paco Medina takes over the art duties from Shawn Crystal, but while Medina is a better artist, his more conventional scribblings don’t complement Way’s writing as well as Crystal’s scrappy, cartoonish pencils. That said, his image of Thanos in a Hawaiian shirt was enough alone to justify buying this issue.